Quick Dog Productions-A Dog's Life is a blog about working dogs. Many Retriever breeders enter AKC Hunt Tests to create an award-winning pedigree. If you’ve never seen a working dog like a Retriever in action, you’re missing out on one of life’s biggest pleasures. 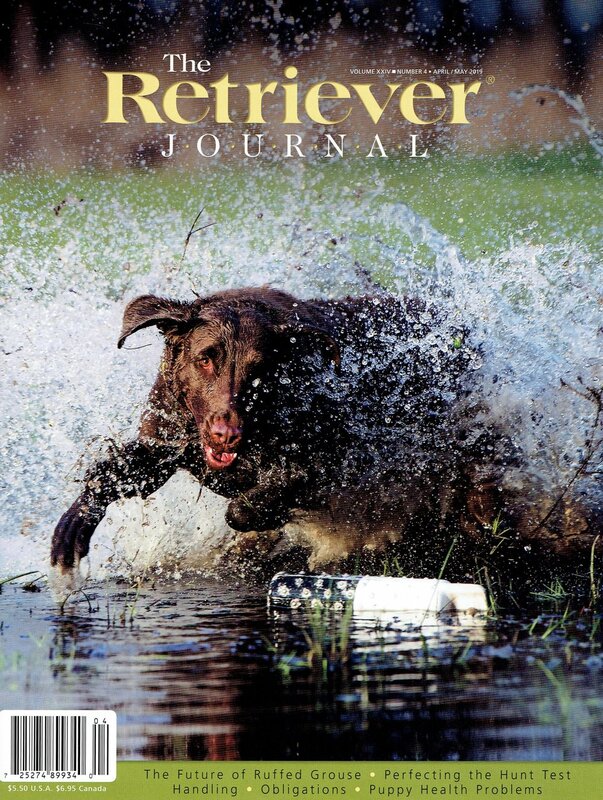 Retrievers have been working with us as for eons, and their natural instincts to retrieve is simply amazing to watch. Retrievers are often seen in the American Kennel Club’s Hunt Test. These regular sporting tests are held across the country, but they require months and even years of trials and errors to become proficient at it. Those entering hunt tests aren’t just hunters, they are more often than not, ordinary dog lovers that want to have a well-trained Retriever as a companion. They might be doctors, lawyers, teachers, cops, executives, stay-at-home moms and dads, or just regular people that have an attachment to Retrievers that I couldn’t possibly explain in a post. I’ve been active with the AKC for 13 years and much of that time I’ve spent as an AKC qualified Hunt Test judge. I’ve (and my wife) have taken our Retrievers to the top level of AKC Hunt Test competition (in Obedience too) and have enjoyed every minute of it, nearly as much as our dogs do. Breeders enter hunt tests to strengthen their breeding line, and to ultimately sell more puppies. Dog trainers enter hunt tests to sharpen their skills, and while hunters enjoy hunt tests during the off-season, a growing number of those involved do it solely for their dogs, they simply like being outdoors and find that winning ribbons and titles is extremely gratifying. Hard to believe that it’s not only for hunters, but that’s been my experience. Retriever people understand that this particular breed craves more than tossing a ball around the house. They are bred to retrieve on a large scale — sometimes 400 or more yards away from the handler. That’s why Retrievers are called working dogs, they go and retrieve in places that owners couldn’t possibly go — across ponds, lakes, streams and into the brush and reeds. They might run uphill, downhill, sideways, and everywhere in between to find their reward in the retrieve. It’s in their DNA to go find what you want them to retrieve and then they’ll bring it back to you and deliver to hand, at least that’s how it is supposed to work LOL. No preaching here, but to eliminate play/work from their life would be like asking Olympic Gold Medalist Michael Phelps to stop swimming. It’s not going to happen, and Tiger Woods isn’t going to stop playing golf, because that’s what their purpose is in life. Phelps was born to swim, Tiger was born to golf, and Retrievers are born to retrieve. When asked why I do it, I simply say my Retriever was born to be the Top Dog! Thinking outside the box when it comes to medical emergencies and your dog. Responsible dog owners love to hike outdoors with their four-legged companions and seldom is there a problem. But while our beautiful wilderness looks safe enough, the wild outdoors can become life-threatening in an instant. Why do puppies smell so sweet? Ever since the days of Lassie on TV or the slobbering St. Bernard in the feature film Beethoven, dogs have been used in television and film production.